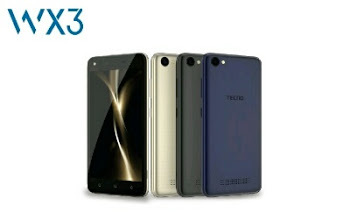 The Tecno WX3 is one of the phones from Tecno's WX3 series, and it's very affordable and budget friendly and also the features are not that sweet but is sure suite the price.The smartphone shows 5.0 Inch Display. It comes with Android 7.0 Nougat version. There is no unique finger print scanner or 4G LTE network however the RAM measure is 1GB Ram, 8 GB Inbuilt Storage, the battery is only 2,500 mAh, while camera is 5 MP Rear camera. Starts from N23,000 to N30,000. wow.. buh no good battery life ooh.. I've seen a copy of this phone..